Charlie Price Collection: The Dark Arts Salon: Halo Salon Category: Master Hairstylist of the Year Photographer: Melanie Watson Inspiration: "The black and leather clothing set off pale, cool colored hairstyles that feature haircutting, texture , and braiding, as well as a disheveled quality with lots of movement," says Price. 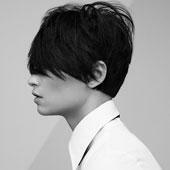 "I wanted the soft hair to be an unexpected contrast to the tough punk wardrobe." 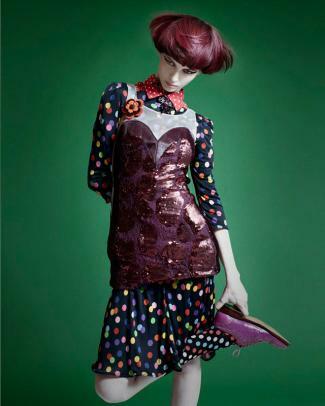 Bio: Charlie Price is a platform artist and NAHA regular-he even co-hosted the ceremony in 2010. This year he has garnered four more nominations and is at a career total of 22 nominations. Price is a two-time North American Hairstylist of the Year winner (2002 and 2008); NAHA People's Choice award winner (2011) and International Hairstylist of the Year (2007). Beyond having his work published worldwide, Price has created hot hair looks for New York City's Fashion Week, collaborating with renowned designers such as Jason Wu, Cynthia Rowley, Jeremy Scott, and Charlotte Ronson, among others. He also serves as International Creative Consultant for Scruples Haircare. Eric Fisher Collection: Geometrical Semblance Salon: Eric Fisher Salons and Eric Fisher Academy, Wichita, Kan. Category: Master Hairstylist of the Year Photographer: Eric Fisher Hairstylist: Eric Fisher	Inspiration: "The collection was inspired by a photo shoot from a European magazine, I picked up at a bookstore," says Fisher. "I loved the images." Bio: Eric Fisher, owner of Eric Fisher Salons and Eric Fisher Academy excels at his craft with a rare combination of artistic and business leadership. During his career, he won numerous awards including the Global Business Award in London, an entrepreneurial award from the UCLA Anderson School of Business in 2004 and 2006. Fisher is only one of four Americans to receive such a prestigious award. Frank Rizzieri Collection: Kate Inspired by Kate Moss Salon: Rizzieri Salons, Spa, and Schools, Marlton, N.J. Category: Master Stylist Photographer: Trevor Owsley Inspiration: Frank Rizzieri was inspired by "Kate," a recent book by beauty icon Kate Moss. 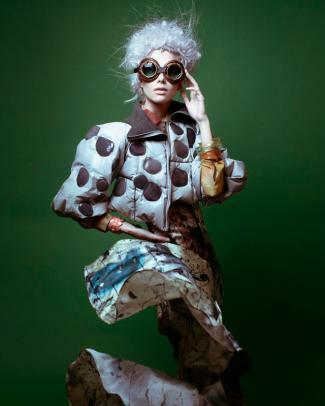 "Her collaboration through the years with the world's best photographers and image makers inspired me to use one model with five different looks," says Rizzieri. Bio: Frank Rizzieri is a third-generation owner/stylist of a beauty enterprise in southern New Jersey. He is also the spokesperson and creative director for Vomor, a hair extension company and is co-founder and creative director of Rsession Pro Tools, which consists of unique editorial hair tools. Rizzieri jetsets the globe as a hairstylist for photo shoots and top celebrities. 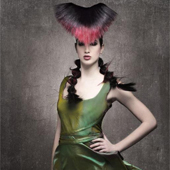 Ruth Roche Collection: Illustrated Sleek Salon: RARE Salon, New York City Category: Master Hairstylist of the Year Photographer: Nico Iliev Inspiration: Two art-inspired themes crossed over in creating Illustrated Sleek. 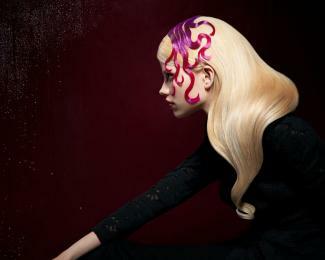 One had the feeling of a tattoo drawn onto the face and hair-in colors and a style that resembled watercolors. The other theme was to create hair that looked illustrated-not quite like a cartoon but illustrated 2-dimensionally on a three-dimensional surface. 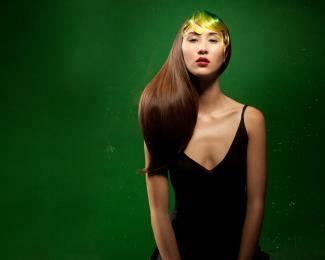 Ruth Roche wanted the look to be glossy like plastic or acrylic. Bio: In the industry for 28 years, Ruth Roche is a world renowned educator who has served as Artistic Director for both Trevor Sorbie and Redken. Currently Artistic Ambassador for Pureology Serious Colour Care, Roche also acts as a celebrity stylist and does both editorial and fashion. Inspiration: "The black and leather clothing set off pale, cool colored hairstyles that feature haircutting, texture , and braiding, as well as a disheveled quality with lots of movement," says Price. 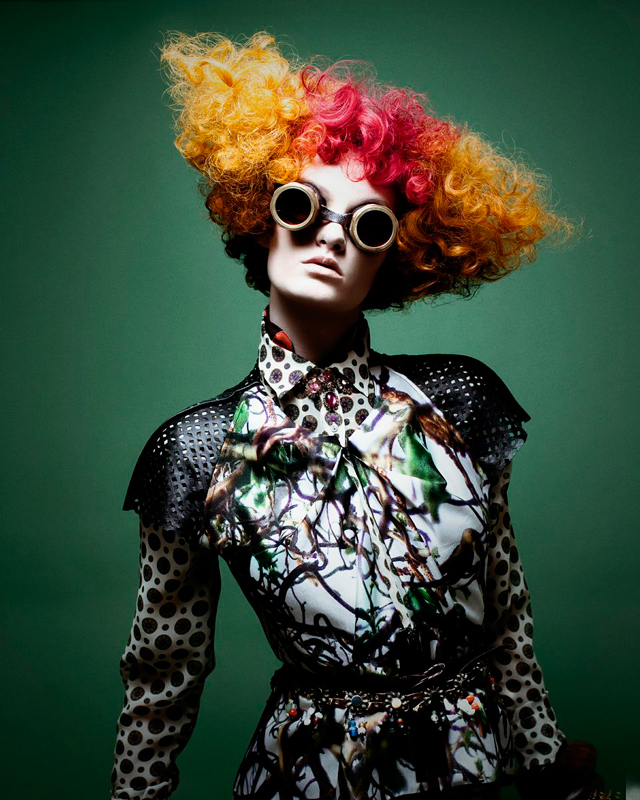 "I wanted the soft hair to be an unexpected contrast to the tough punk wardrobe." 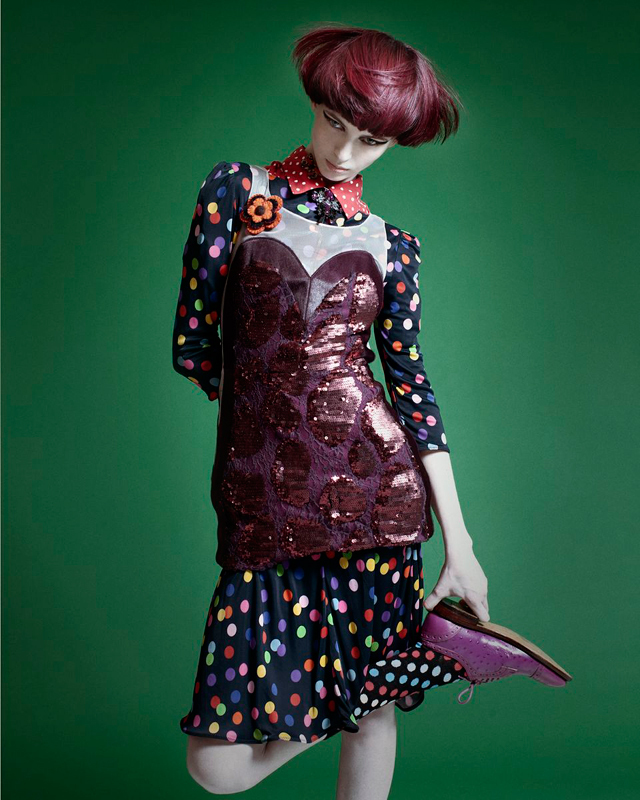 Bio: Charlie Price is a platform artist and NAHA regular-he even co-hosted the ceremony in 2010. This year he has garnered four more nominations and is at a career total of 22 nominations. 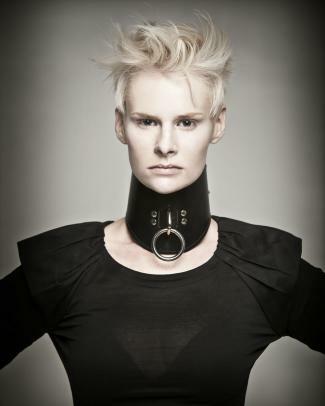 Price is a two-time North American Hairstylist of the Year winner (2002 and 2008); NAHA People's Choice award winner (2011) and International Hairstylist of the Year (2007). Beyond having his work published worldwide, Price has created hot hair looks for New York City's Fashion Week, collaborating with renowned designers such as Jason Wu, Cynthia Rowley, Jeremy Scott, and Charlotte Ronson, among others. He also serves as International Creative Consultant for Scruples Haircare. Salon: Eric Fisher Salons and Eric Fisher Academy, Wichita, Kan.
Inspiration: "The collection was inspired by a photo shoot from a European magazine, I picked up at a bookstore," says Fisher. "I loved the images." Bio: Eric Fisher, owner of Eric Fisher Salons and Eric Fisher Academy excels at his craft with a rare combination of artistic and business leadership. During his career, he won numerous awards including the Global Business Award in London, an entrepreneurial award from the UCLA Anderson School of Business in 2004 and 2006. Fisher is only one of four Americans to receive such a prestigious award. Salon: Rizzieri Salons, Spa, and Schools, Marlton, N.J.
Inspiration: Frank Rizzieri was inspired by "Kate," a recent book by beauty icon Kate Moss. "Her collaboration through the years with the world's best photographers and image makers inspired me to use one model with five different looks," says Rizzieri. Bio: Frank Rizzieri is a third-generation owner/stylist of a beauty enterprise in southern New Jersey. He is also the spokesperson and creative director for Vomor, a hair extension company and is co-founder and creative director of Rsession Pro Tools, which consists of unique editorial hair tools. Rizzieri jetsets the globe as a hairstylist for photo shoots and top celebrities. Inspiration: Two art-inspired themes crossed over in creating Illustrated Sleek. One had the feeling of a tattoo drawn onto the face and hair-in colors and a style that resembled watercolors. The other theme was to create hair that looked illustrated-not quite like a cartoon but illustrated 2-dimensionally on a three-dimensional surface. Ruth Roche wanted the look to be glossy like plastic or acrylic. Bio: In the industry for 28 years, Ruth Roche is a world renowned educator who has served as Artistic Director for both Trevor Sorbie and Redken. Currently Artistic Ambassador for Pureology Serious Colour Care, Roche also acts as a celebrity stylist and does both editorial and fashion.